Black Coat Press was born in 2003 as a logical development in our desire to bring out the best of French popular culture into the English language. First, there was our massive French Science Fiction, Fantasy, Horror & Pulp Fiction encyclopedia published my McFarland in 2000; then there was our www.coolfrenchcomics.com website, and finally our two non-fiction Shadowmen books which, with our translation of Doctor Omega, were the first books published by Black Coat Press. 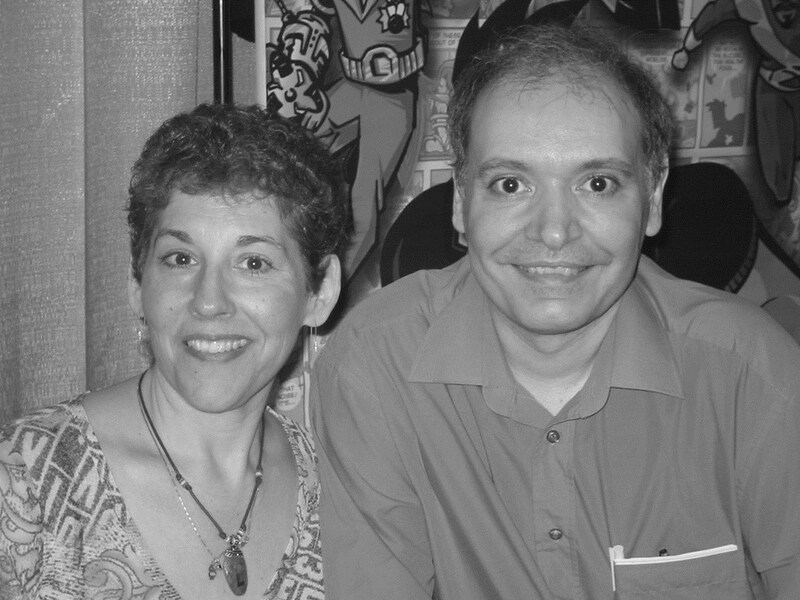 My wife Randy and I had been working for Starlog and in comics for years prior to our desire to become publishers. We had, in fact, been translating a number of award-winning French comics for Marvel (the Moebius series) and Dark Horse (works by Tardi, Andreas, Druillet, Schuiten and others). So moving into books was a natural extension. We had already co-authored over a dozen books about movies and television series, such as The Doctor Who Programme Guide, Into The Twilight Zone, Science Fiction Filmmaking In The 1980s and The Dreamweavers, the latter two from McFarland. It had always been a source of profound frustration to us that, because of the language barrier, the knowledge of many outstanding French works was denied to the American public. There was a time when French novels and French films were widely imported in the United States. People were mobbing the New York harbor waiting for the latest installment of Alexandre Dumas’ novels. Yet in the age of the global village, this cross-cultural exchange has shrunk to next to nothing, and I think America is the poorer for it. The purpose of Black Coat Press was to help remedy this sad state of affairs by providing a fairly comprehensive selection of the best and/or the most representative works, with proper introductions, bibliographies, etc. Because science fiction, fantasy, etc. are often regarded as minor genres by “serious” scholars (on both sides of the Atlantic! ), we felt that publishing works of this nature would be more useful than publishing classic or mainstream novels, for which there are at least a few outlets available. Black Coat Press was established in 2003 as a division of Hollywood Comics, a California LLC representing some of the world's best writers and artists in the fields of motion pictures, television, multimedia, publishing and merchandising. (Our clients list includes the Estate of Jean-Claude Forest, Paul Pope and Stan Sakai.) Black Coat Press is primarily devoted to publishing English-language translations of classics of French popular literature, in the science fiction, fantasy and mystery genres, as well as classic French comics and a few stage plays. Black Coat Press' Standard Address Number is: SAN 255-366X. Our books are manufactured by Lightning Source in their LaVergne Tennessee Production Center or their Allentown Pennsylvania Production center in the US or in their Milton Keynes Production Center in tnhe UK; all wood product components used, either in cream-colored or white bookblock paper are Sustainable Forestry Initiative ® (SFI ®) Certified Sourcing in the US and Forest Stewardship Council ™ (FSC ®) Mixed Credit, FSC ® C084699 in the UK. In 2004, Black Coat Press launched a sister division, Rivière Blanche, which publishes French science fiction novels in French, for the French market. In 2010, writer/translator Brian Stableford, editor/translators Jean-Marc & Randy Lofficier, and Black Coat Press won a Special Award for their outstanding work in bringing French science fiction to the English-speaking public. The award is part of the coveted Grand Prix de l’Imaginaire, the oldest and most prestigious genre award in France. Created in 1974, the “GPI” is given yearly by a jury of twelve professionals. This award recognizes the unprecedented effort made by Black Coat Press, established in 2003 by the Lofficiers, to publish classic French science fiction in the United States. Competing for this special award were two other nominees, French anthologists Richard Comballot and Jean-François Thomas. Amongst the other winners of the GPI that year were Jack O’Connell, Greg Egan, Ted Chiang, John Connoly and Warren Ellis. Our readers sometimes ask us: What is the differencw between "Adapted by" and "Translated by"? Read our explanation here. For easy reference, we provide a List of French SF Classics in chronological order of original publication here on this website. As a rule, we do not take submissions. Unless you plan to write about Arsene Lupin, Fantômas, Harry Dickson, Doctor Omega or any other French characters whose adventures we publish, or you are a translator of French literature looking for a suitable project, please do not send us submissions.